As we head deeper into winter and then on to spring, don’t let the weather keep you inside and off those muddy trails. We’ve corralled pairs of men’s and women’s trail running shoes to carry you through the stormy season. Tested in Northern California and Golden, Colorado, these shoes have seen miles of the toughest trails the region of the state has to offer. We were pleasantly surprised this testing season as we found that many of the women’s trail running shoes we ran in did well in a variety of conditions, which means companies are getting better at building shoes for multiple types of terrain. But for those of who run specific types of trails and want specific shoes, we have you covered. We subjected each shoe to either a test course on one of Shasta County’s most versatile trails in Northern Cali, or to a test course on the mesas above Golden, Colorado over a six-week period. Our shoes needed to experience rolling terrain, steep uphills, both hard- and loose-packed ground, and of course, a litany of obstacles. We ran courses in wet and dry weather, on warm and cold days. We found that some shoes were amazing to wear the whole course, and some outperformed others on specific sections. 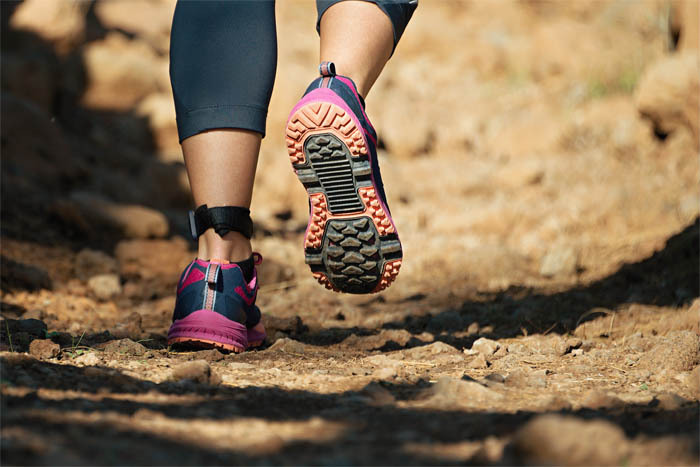 As you move towards selecting the best trail running shoe for yourself, be aware of what style of terrain you’ll be running on and for how long. 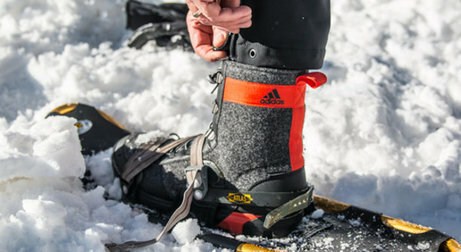 While some of the following models lend themselves to being the “one quiver” shoe, we found that others were built to thrive in specific conditions. Each trail running shoe was evaluated against five major, universal attributes. 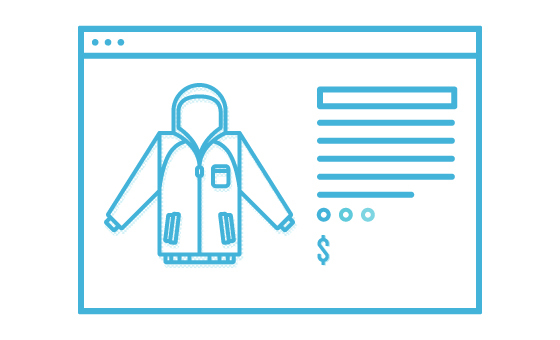 We then selected one key attribute in which each shoe excelled, and listed it below each review. Pearl Izumi’s Trail N2 V3 are the go anywhere and do anything – for any distance – women’s trail running shoe. A footbed built for natural foot splay and incidental swelling is one of the features that makes this shoe ultra-run approved. 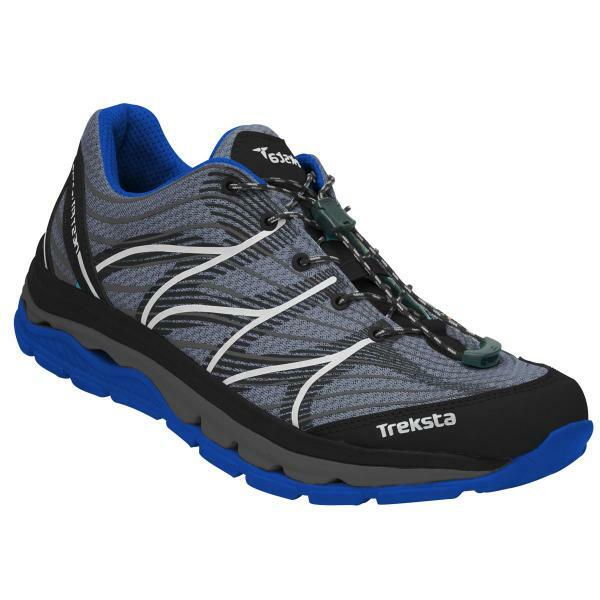 Protection underfoot and a rubber tread means this shoe can handle tough trails while providing superb traction. These shoes will keep your feet happy at the end of a long training day. For those training in the mountains and for the mountains, the Salewa Lite Train moves at full force. The highly technical design and sleek look to boot gives you the feel and performance of a total badass. 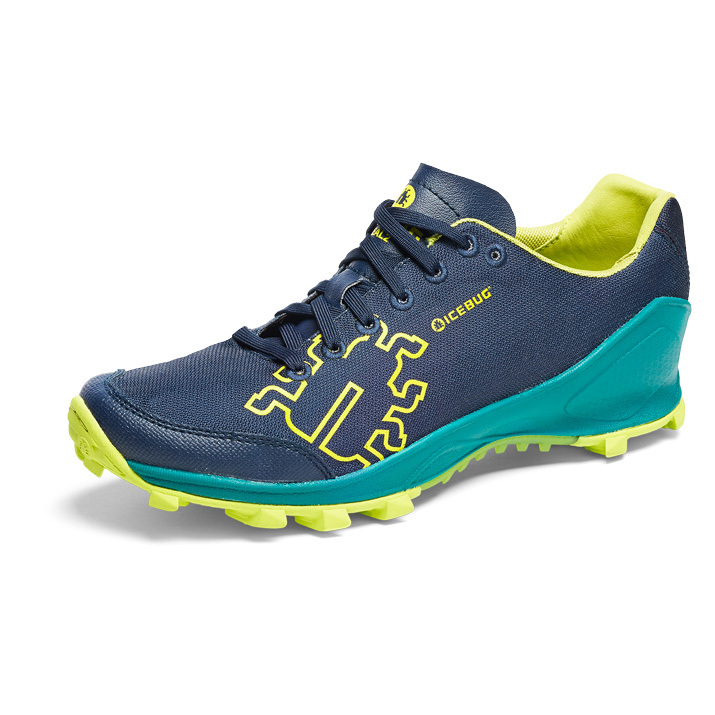 The aggressive lugs create a responsive feel on a variety of terrain and perfect traction. Inspired by mountain bike tires, the tread grips every surface at every angle, making this the ideal shoe for serious training this winter. This new offering from Topo Athletic doesn’t like getting stuck, whether bogged down in sticky mud or pigeon-holed as a minor player in the running game. Active Junky, already a student of the brand since its early split-toe design days, grabbed and laced this one with high expectations. Claiming the crown as the “lightest fully waterproof trail running shoe on the market,” testers first scored it high for all-day comfort with a flexible rock plate underfoot. At 9.7oz, Hydro flew fast on flats with a minimal 3mm drop (stack height of 23mm x 20mm) combined with a competent 4.5mm rubber outsole as trails turned skyward. When splashing puddles turned into churning through deeper muck, this eVent-based Topo Athletic model paddled hard, fast – and stayed dry inside. Lacing eyelets and tongue loops locked in fit with little shifting and no foot or ankle abrasion even in wetter scenarios. 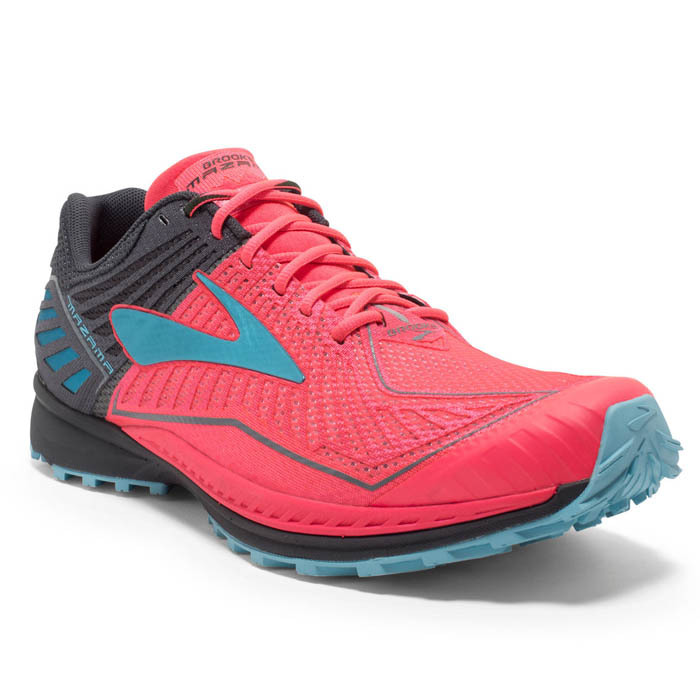 The new Mazamas have the long-loved Brooks Cascadias looking over their shoulder, and they’re coming up fast. 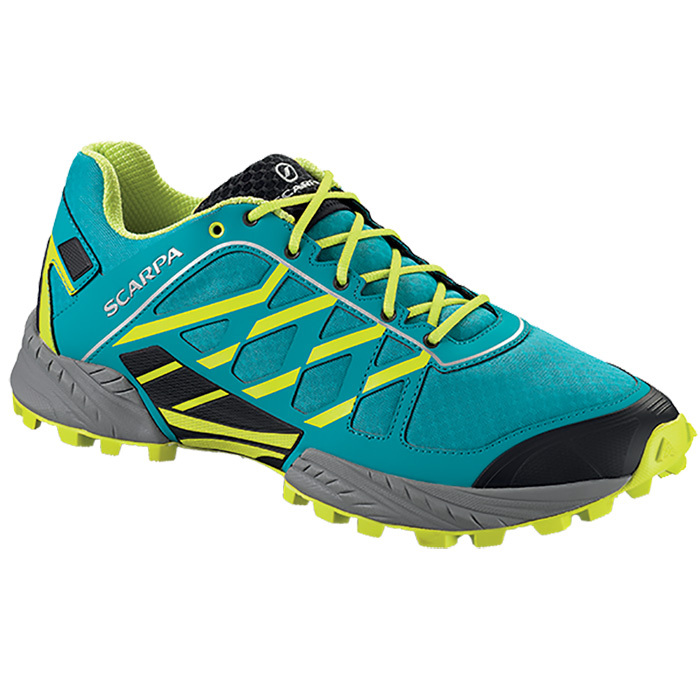 A trail shoe built for speed on technical terrain, you may as well be dancing over dirt and rock than running. 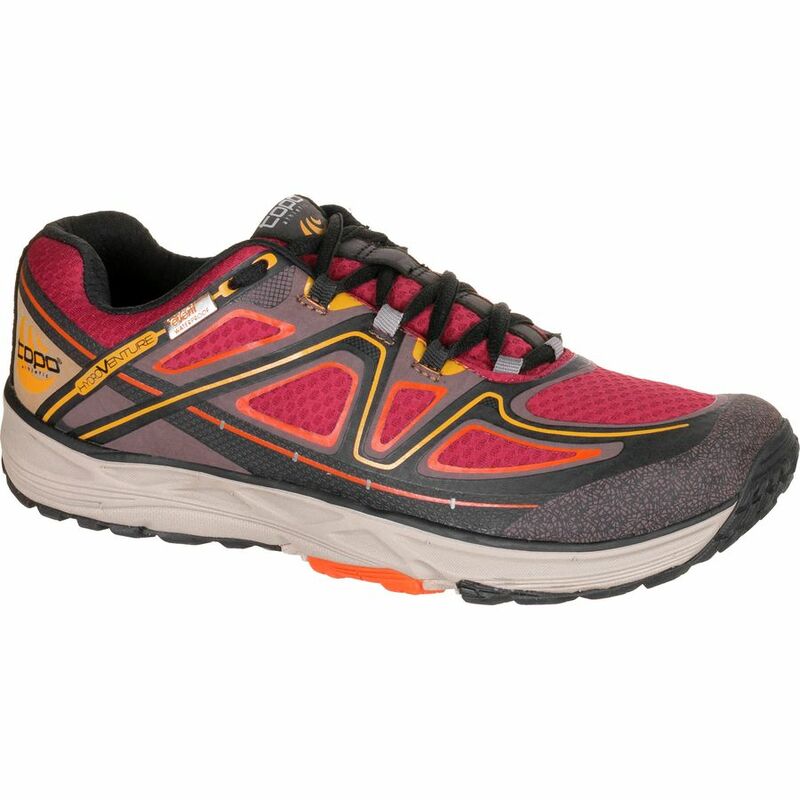 With a focus on fit, protection, and tread, these trail women’s trail running shoes are feathery light without compromising performance. 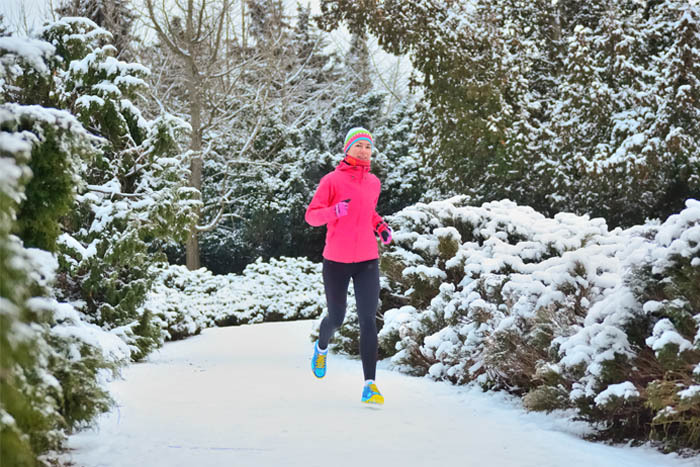 Trail ladies will love how much you can get out of one stride. Columbia has been making quality outdoor gear for years, including footwear. 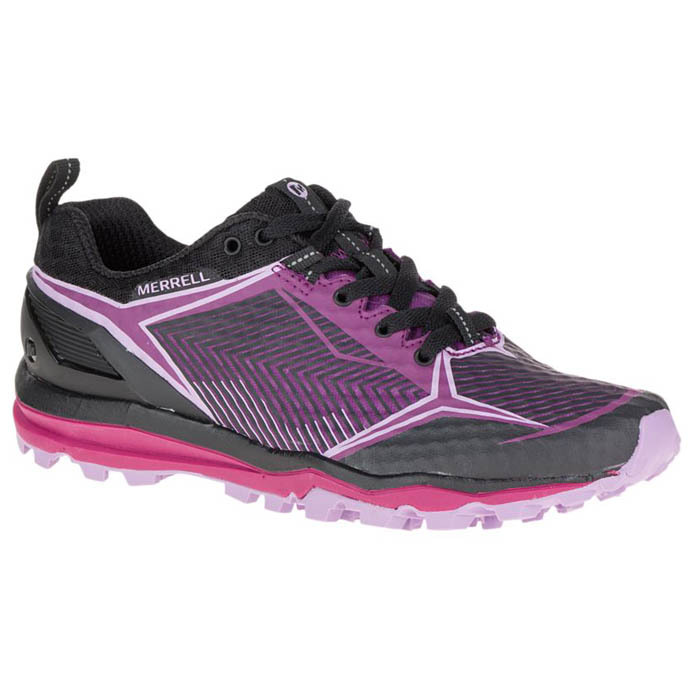 This year Columbia along with its sub brand Montrail has made a trail running shoe friendly to all levels of female runners. 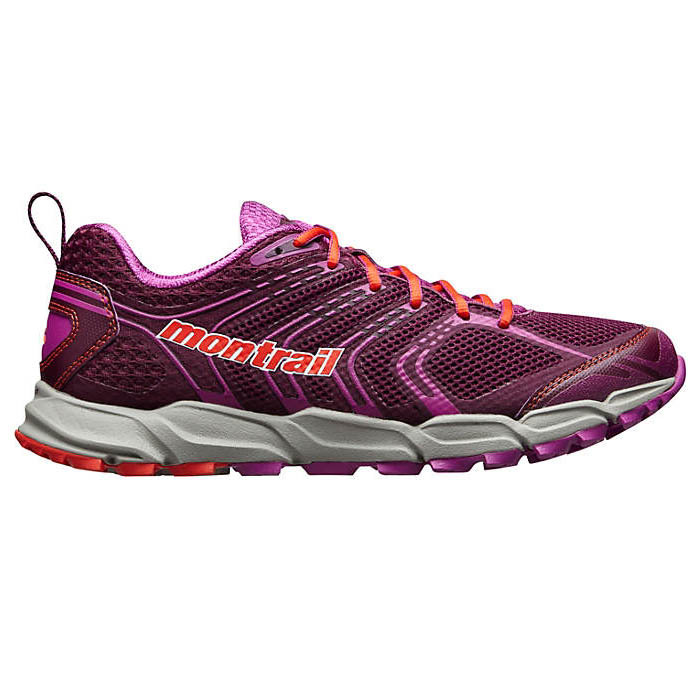 The Montrail Caldorado II is a full-fledged trail shoe allowing first time trail runners and experienced trail nuts alike to enjoy their training. Both the FluidGuide and Foam technologies provide cushion and comfort while TrailShield offers total under foot protection, factors both parties can appreciate. 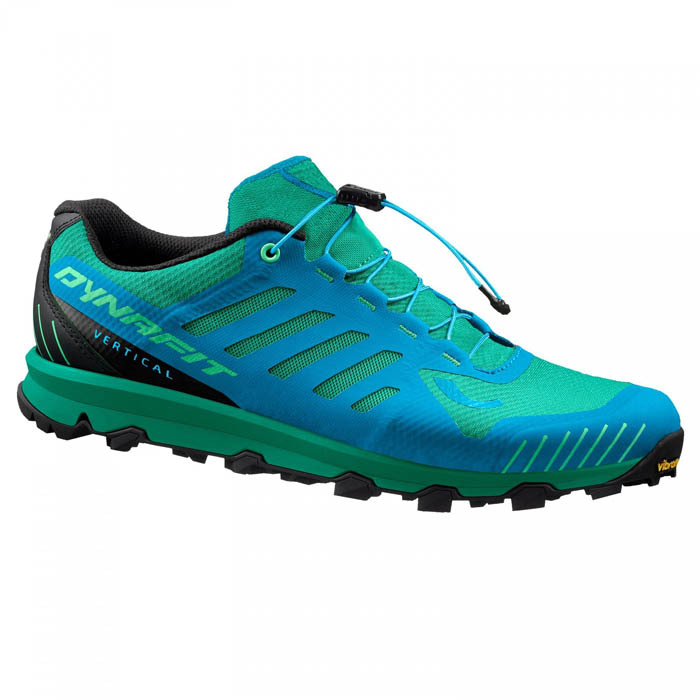 While maybe not everyone’s first guess at a trail runner, the Dynafit Feline Vertical is our first pick for steep terrain. Ultra tractiony soles and a minimal, secure fit to the foot makes this trail shoe an asset to those long steep training runs. The performance-to-weight ratio is a key components to what makes the Feline Vertical so popular among serious athletes. The 4mm drop on the ultra-light vertical midsole makes this shoe ideal for both training and steep alpine races. After running the same course in minimalistic shoes, running it in the Challenger ATR 2 felt like a dream. 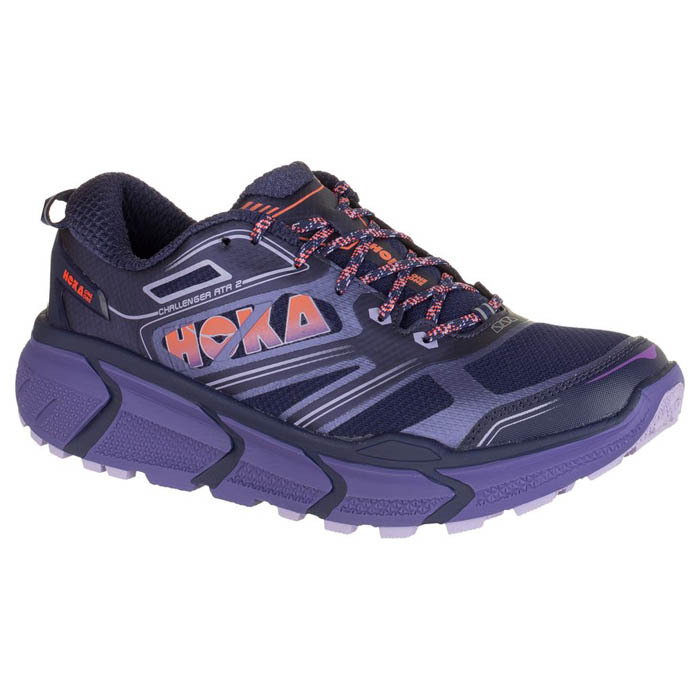 The unbeatable cushion from Hoka One One actually rejuvenates the runner in every step. 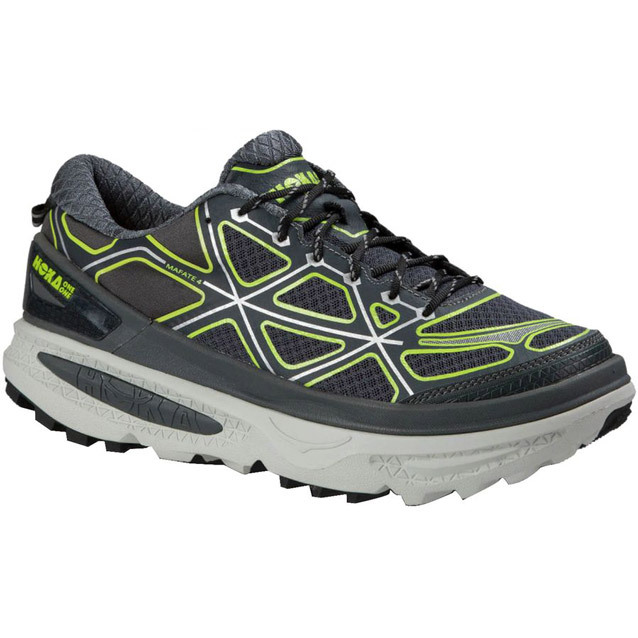 Take these running shoes on road and trail for uncompromised comfort and support. 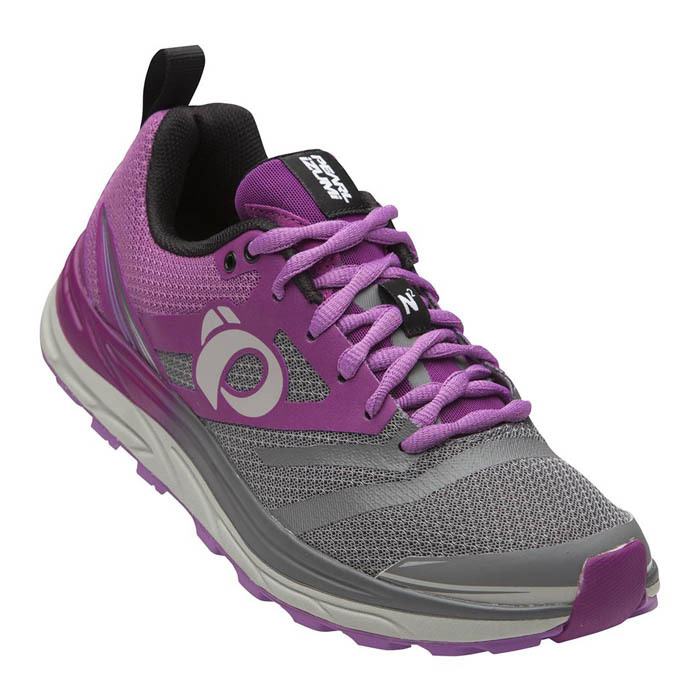 The Ortholite insole and oversized EVA midsole helps make these trail shoes perfect for anyone looking for a little extra love for their joints and running pains. Whenever someone talks about La Sportiva, mountainous terrain and miles of ridgelines with epic views immediately come to mind. The Akashas give off that vibe the minute they’re pulled out of the box. 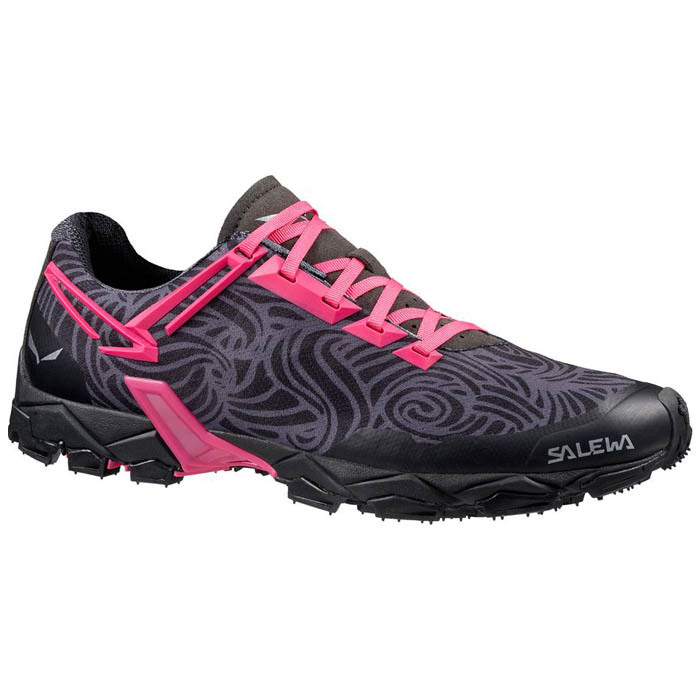 Aggressive tread, serious rock protection, and cushion enough for long miles make these the perfect shoe for distance running in alpine terrain. 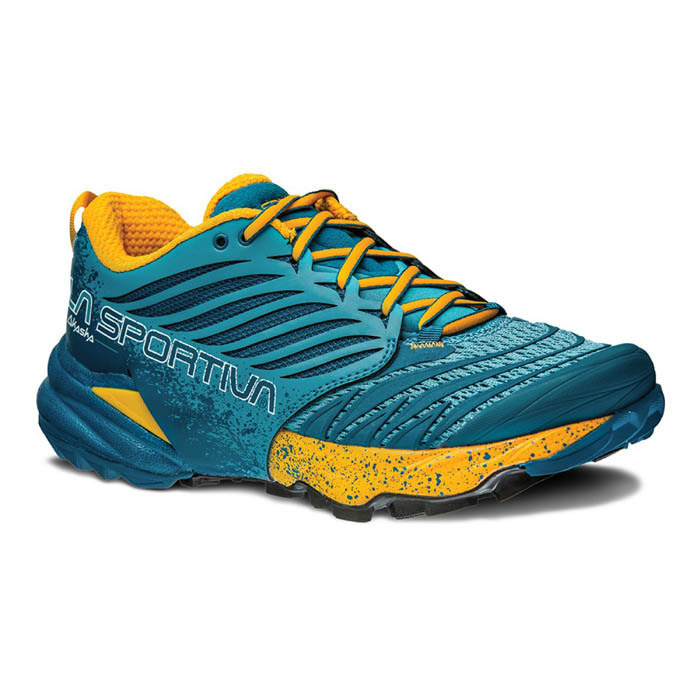 The strategic protection of this shoe under the arch, in the heel and over the toe is what makes the La Sportiva Akasha one of the beefiest but most graceful women’s running shoe on the trail. While winter brings bad weather, the Merrell All Out Crush Shield brings weather protection. The TPU coated mesh on the upper shoe keeps water out despite all the rain and snow you’re running in. 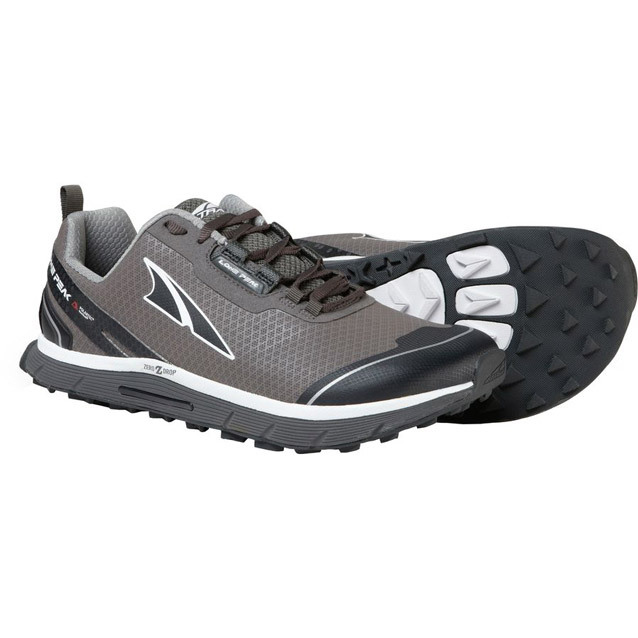 The 5mm lugs plus super grippy tread on the outer sole make this shoe a weapon on the trail. A light cushioning in the midsole gives you just enough comfort on rocky trails while remaining in the minimalist trail running shoe family. 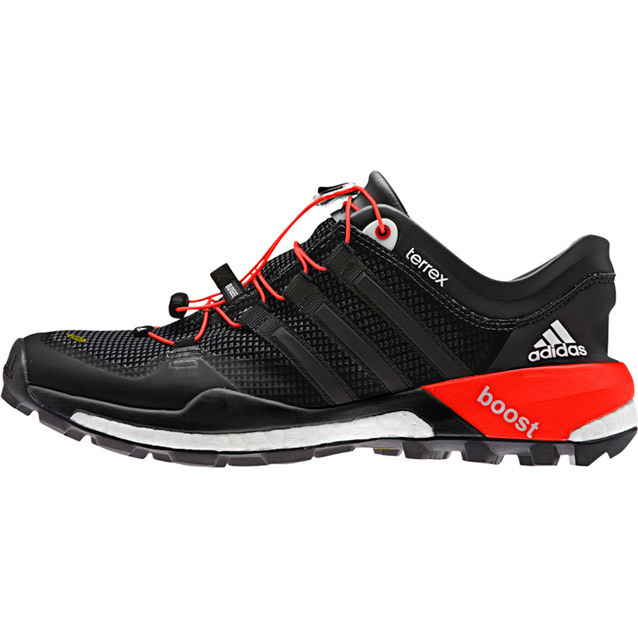 Not merely a marketing mechanism to assert the brand, Adidas Terrex Boost’s energy return is real, reliable and turns a superior shoe into an exceptional performer. Even without the not-hot, breathable GORE-TEX membrane and ravenous Continental Rubber outsole, Boost would have won testers over with a low-profile fast cruising design. Speed laces handle hard yanks, locking securing before being tamed by the durable elastic keeper. Inside, medial support keeps 12.5oz Boost GTX on the straight and narrow while midsole EVA delivers enhanced foot comfort. If out of the box fit isn’t perfect, spring for insoles to prepare for a personalize launch. Somehow, Altra has crammed powerful Neoshell breathe-and-repel moisture technology into a slipper-like package replete with life-saving, crud-shedding traction. It would be easy to walk by this one unless you’d heard – from serious runners – how reliable and efficient Altra builds performance footwear. A 25mm stack height doesn’t force an altered stride except where it excels on climbs and descents. Altra’s FootShape toebox means natural spread without negative consequences even for narrow feet. The net result of this 11.9oz model? Fun from confident TrailClaw outsole control, meaningful efficiency and a sense of well-being landing in the middle of whatever suits you. Icebug’s Nordic roots mean uncompromising design with a level of intentionality no lookalike model can ever emulate. Previous Zeal versions nailed it for traction and personalized fit. Now the brand screams in with an updated upper rooted in Kevlar fabric technology. 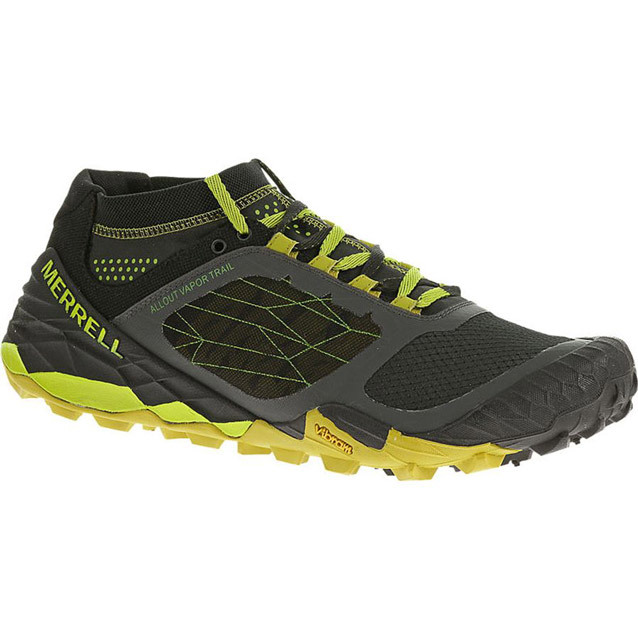 High mileage runners who won’t let abrasive rocks, trip-wire roots and unconsolidated trails dissuade them will appreciate Zeal’s upgraded control and newly-extended longevity. More like world-class competitive track footwear, Zeal trades separate insole construction for a tailored, foot-friendly midsole. Quick-dry mesh flows through part of shoe that’s lined – sans seams – to increase the comfort quotient. 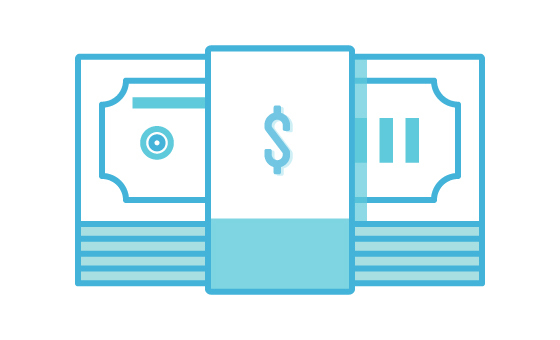 Did we mention 8.8oz? 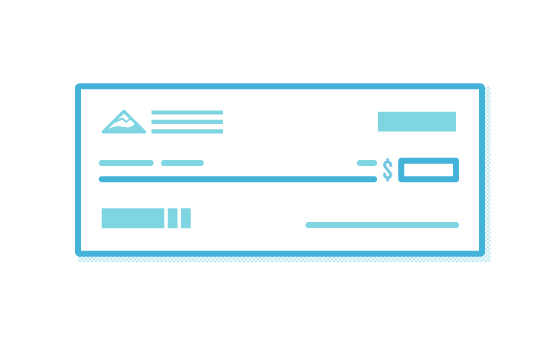 As in, what’s missing is significant even though the price stays south of the $170 mark. An Active Junky advisory is warranted here as other Icebug models are better suited for mellower base miles, ramped up training plans and less tortuous terrain. Decision. And not to be elitist about it. 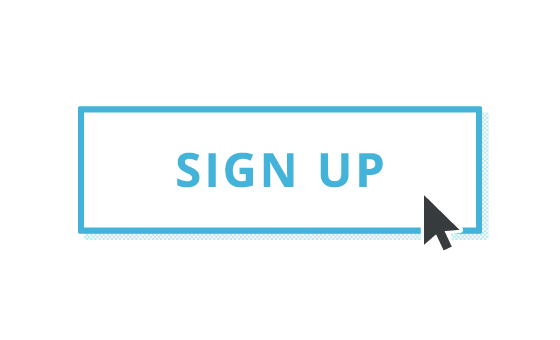 Are you out to run some trails or be a trail runner? Speedcross calls the question as it commands Earth, wind and water to do its bidding. 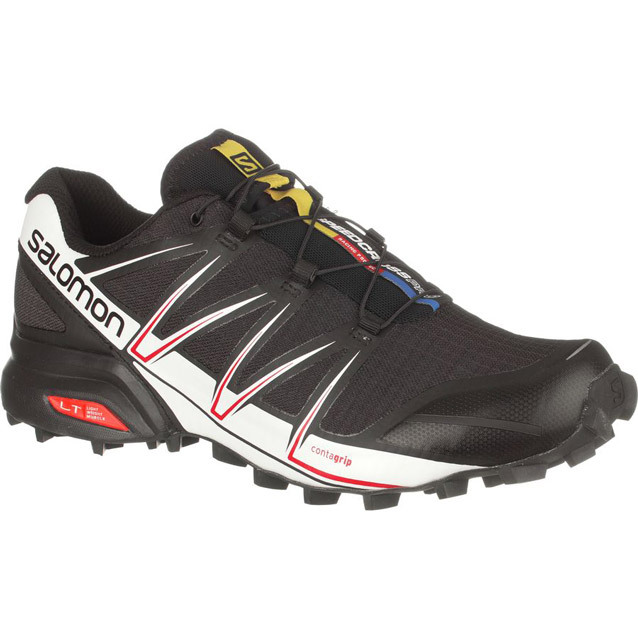 Not an overstatement as Active Junky found unstable steeps, broken breezy ridges and mud holes were causes for – acceleration: Walk past this 30mm/20mm midsole height Salomon model if leisurely miles are the goal. Pro plants the flag with every step in marginal conditions while making easy trails, well, boring. More cushioned than expected, the shoe’s tendency to heat up is notable even in cooler conditions. The antidote is simple. Find some water and plow through it. Bonus points awarded to this Contagrip-outsoled model for smooth-cruising welded seams, friction-free eyelets and one of the smartest lace tensioning toggles we’ve seen (aka quicklace). 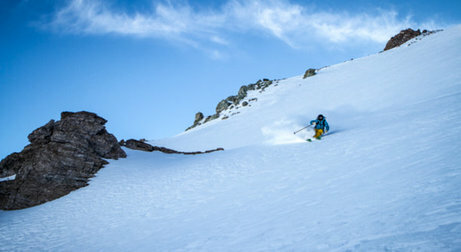 Even if you know the Scarpa name from winter alpine pursuits, Neutron further extends the brand’s credibility across four seasons. Easy lacing and a padded tongue top off the solid construction built on a dual-density midsole. With superlative ground feel while it cushions every step, 6mm-drop Neutron increases foot and joint protection minus the pillows-strapped-to-feet sensation. To up the adventure quotient, pushing toward midfoot strike accelerates the shoe into tougher terrain without concern for stability or traction (thanks, Vibram). Weight under 10oz. will please another group that 3) wants to fast-pack. If needed, pick a favorite aftermarket insole to complete the transformation to get even more joy out of this new model as overnight sorties enter the mix.